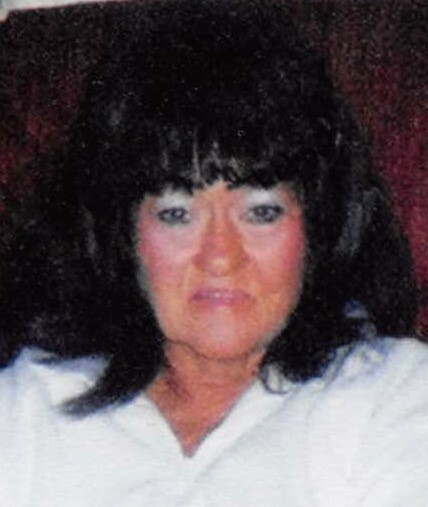 Joanne Daley, 71, of Rolling Prairie, passed away on Monday, March 25, 2019 at La Porte Hospital. Joanne was born in East Liverpool, OH, on January 23, 1948. On May 25, 1975, in Piedmont, MO, she married Joseph W. Daley who survives. Also surviving are her beloved children, Toni (Jerry) Jackson of La Porte, Joseph Daley, Jr. of Union Mills, William W. (Sara) Daley of Hudson Lake, Shanntelle (Chris) Wiltfong of Rolling Prairie, Jerry J. Daley of Hudson Lake, Lisa Boyd of OH, Cheyenne (Johnny) Daley of MI, Jodi Hentschel of OH, Jamie (Adam) Wallis of New Carlisle, Chance (Lynsey) Daley of New Carlisle, Darren (Jolecine) Erickson of Yucca Valley, AZ, Bobby Erickson of AZ, and Gina (Anthony Herbert) Nove of South Bend; 34 grandchildren, 3 who she raised and loved as her own, Chelsea (Les) Holewinski of Rolling Prairie, Destiny and Nikki Daley of La Porte; 11 great-grandchildren; brother, Bill Slaughter of Boston, MA; as well as many others she's raised and lives she touched. She was preceded in death by her parents; brother, Harry; sister, Cathy; and 2 grandsons. Joanne was an incredible human with a heart of gold and a fiery attitude. She loved with all she knew and never gave up. She enjoyed shopping and loved being with her family. A Celebration of Life Memorial Service will be held at 1 pm on Saturday, April 6, 2019 at Cutler Funeral Home and Cremation Center. Visitation will be held at 12 pm until the time of the service on Saturday at the funeral home. Memorial contributions may be directed to La Porte County Small Animal Shelter, 2855 W. SR 2, La Porte, IN 46350.